Posted April 13th, 2016 by joswas & filed under 3D Printing. 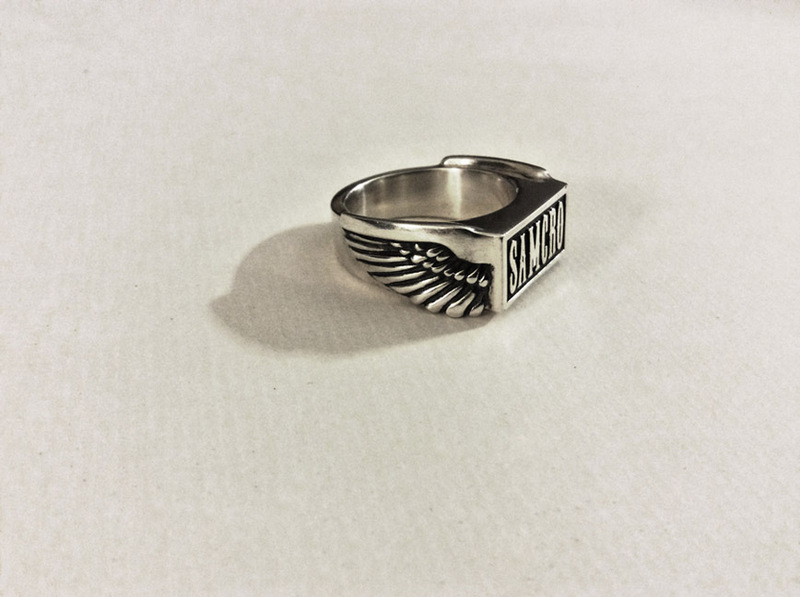 This custom mens size 15-3/4 ring was designed as a fine detail for a Halloween costume based on a character from a popular TV show. This ring is made of solid polished sterling silver, and was printed by Shapeways. The detailed lettering on the face and wings on the sides is heightened through a patina process that darkens the metal. When the surfaces in relief are polished back to bright silver, with the grooves remaining dark, the contrast really helps the design pop.